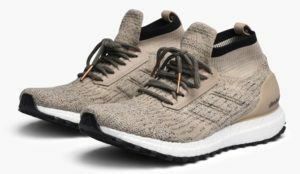 The adidas Ultra Boost All-Terrain Trace Khaki is the next colorway of the hyped UltraBoost Mid to release. 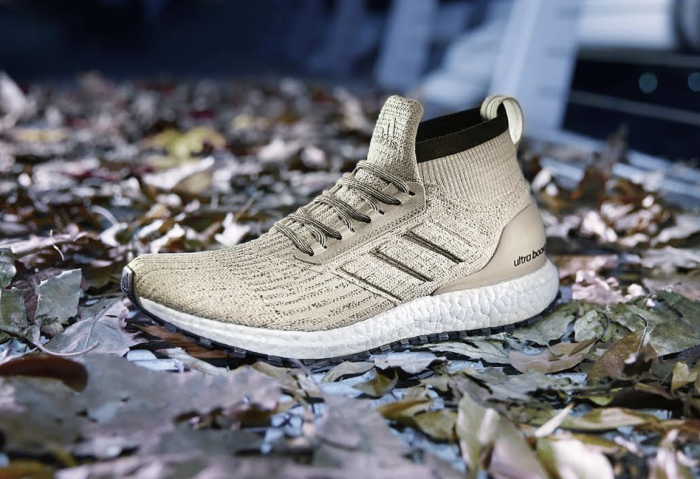 The adidas Ultra Boost All-Terrain Mid is made for outdoor adventurers. The prime knit upper features a water repellant coating that sits higher on the ankle. The continental rubber sole is slightly thicker offering more traction and grip.